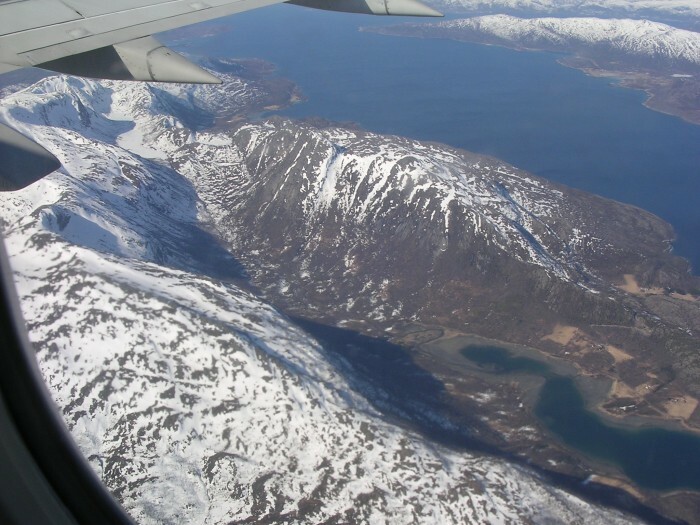 Porsøya and the bridge over to Jevik, which however is farther out to the west. Now above the top of the Vargfjord Mountains, which reaches 883 m asl. in the middle of the next picture. where the town Lødingen should be in the middle there. 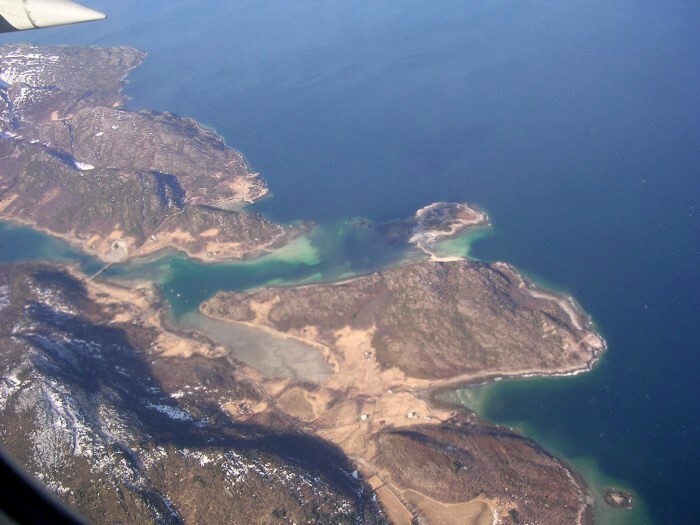 behind the island in the center, which is Barøya (Bar Island). The top to the left is Valletind at 832 m asl. peninsular coming out from the right side of the picture. 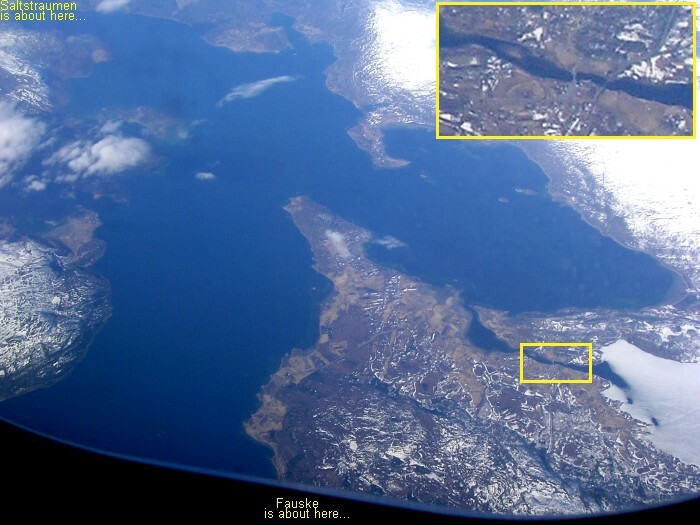 You still have Valletind up on top of the picture, and the Barøya (Bar Island)out to the right. But now you also can see the rest of the mountain-chain leading out to Valletind. Tuva at 643 m and finally Eidetind at 846 m asl. 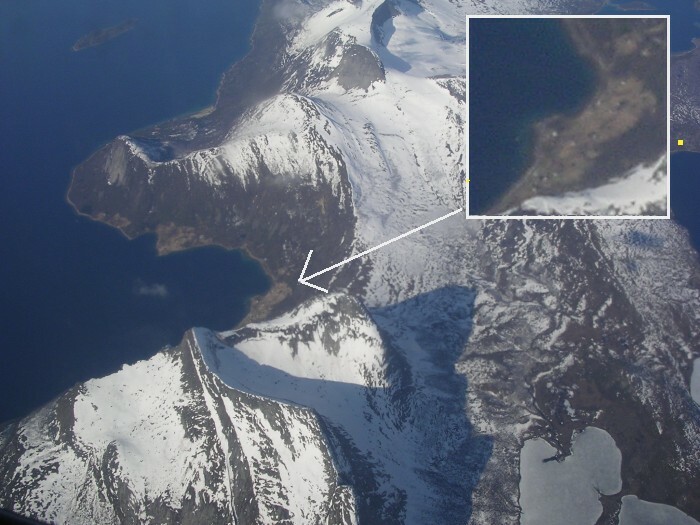 Believe the top down in the left corner to be Kjerna at 647 m asl. Just inside Kjerna, you find a small community called Skjellesvik. 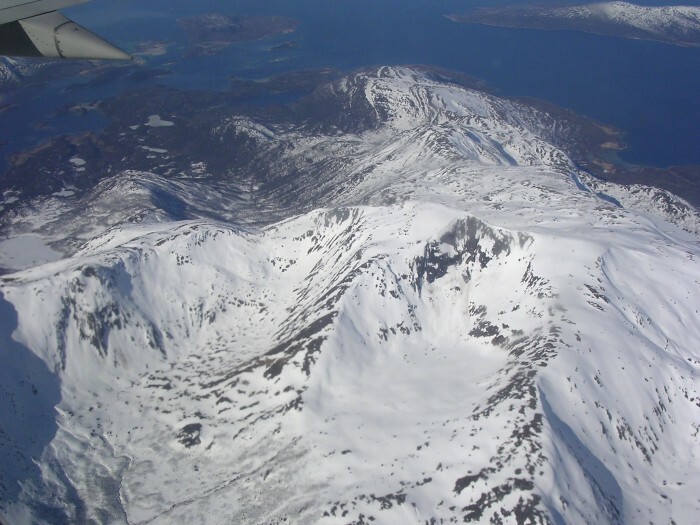 The last two pictures, were the mountain-range between Skjellesvik and Barøya. hundreds every October hunting millions of herrings, accompanied by eagles and seagulls. and another one to the left, which is also calles Skarberget (?). 25 minutes trip out to the left, it arrives at Bognes, from where E6 continues southward. On top of the pictures, is a small island calles Bekkenesholmen. 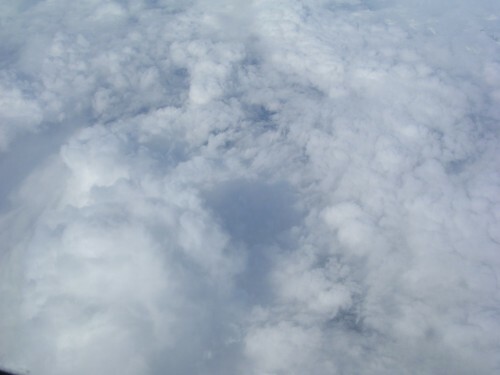 Now soon up at 10,000 m asl we have a wonderful view. with tops ranging up to 1,227 m asl. 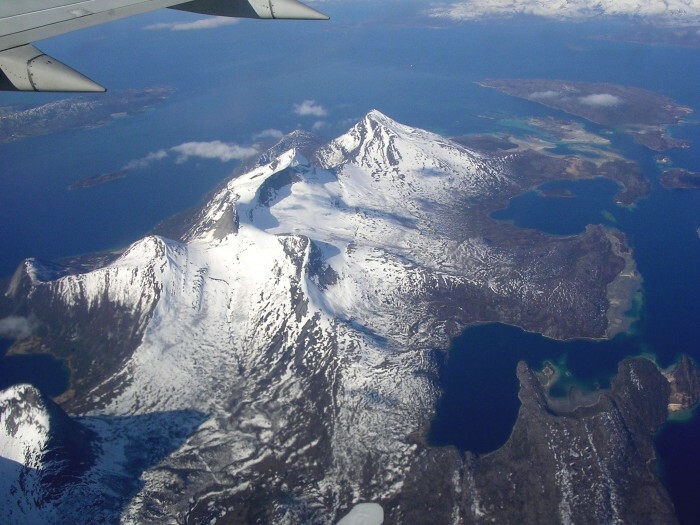 from where it goes through the Steigen-tunnel, which is about 8,062 meters long. 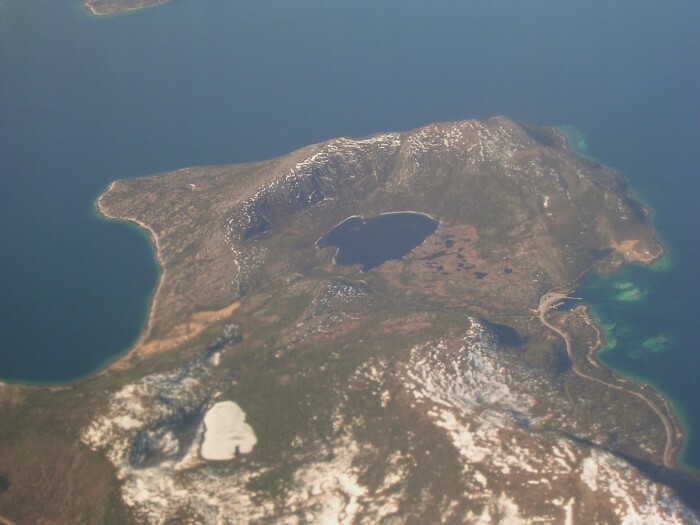 Skjerstadfiord in the middle. 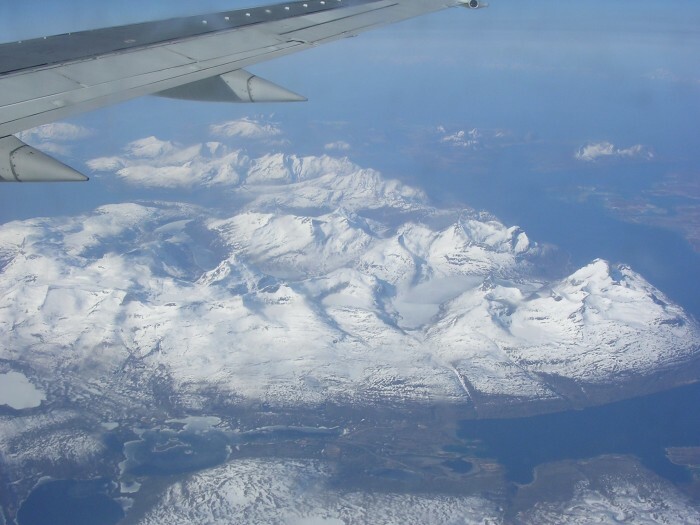 Bodø city is up outside the upper left corner somewhere. railway more or less a bit up towards Bodø, and also the main road E6. Both are crossing their own bridges across Valnesfiordvatn (enlargened picture). 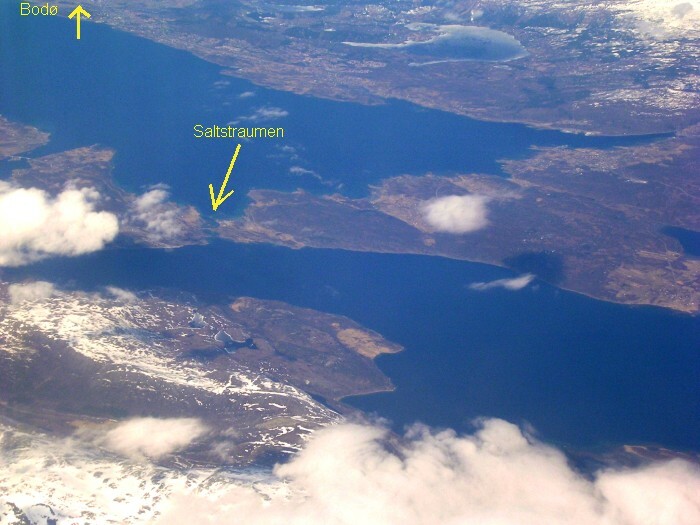 Saltstraumen (The Salt-current) is the world largest tidal current. It's as easy as that. 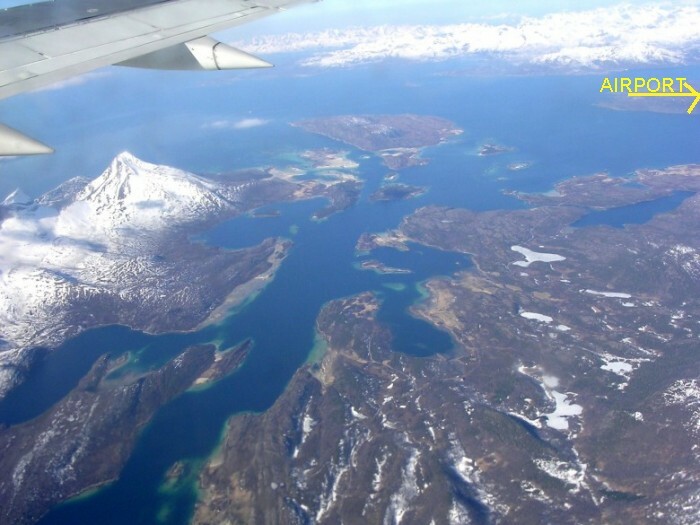 The maelstroem is created in a 3 kilometer long and 1509 m wide strait between Skjerstadfjorden and Saltenfjorden, about 32 km from the center of the city of Bodø.